The expression “hacerle ganas” in Spanish captures a sentiment of strength and perseverance that I’ve consistently found present in Latin American cultures: specifically, what it means to keep moving forward towards a goal, even when faced with adversity. Hacerle ganas roughly means “to create the desire.” It is rooted in the common idiomatic expression, “tener ganas de” (“to have the desire to…”), which is used to express what we wish and want to do. “Hacerle,” on the other hand, refers to something we have to do (e.g. our homework, errands, work). In other words, hacerle ganas means creating a desire that previously wasn’t there, often out of necessity. Think of when you’ve been in the middle of something important and faced obstacles. You may have had to “hacerle ganas”––create the desire to finish the task at hand. I came to understand this cultural expression when I really, really needed to hacerle ganas. 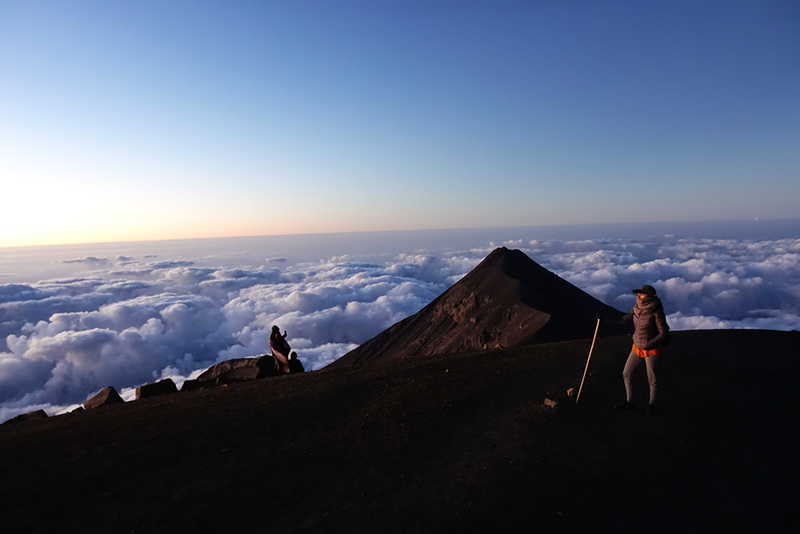 I recently did the hardest hike of my life, a 3,976 meter high, uphill climb to the peak of Acatenango Volcano in Guatemala. 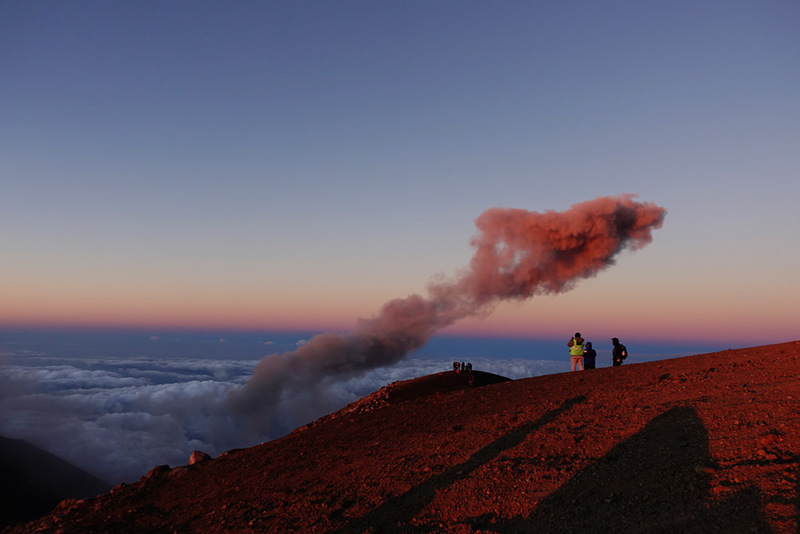 It all started with my visit to Antigua, a small colonial city famous for being surrounded by volcanoes. Upon expressing my admiration for the picturesque volcano that greeted my balcony view every morning, a local I befriended suggested that I hike it. I almost didn’t listen, as I was warned that the journey would be extremely challenging—five hours of uphill hiking before reaching basecamp, then another two hours at 4 a.m. the next day to reach the peak. 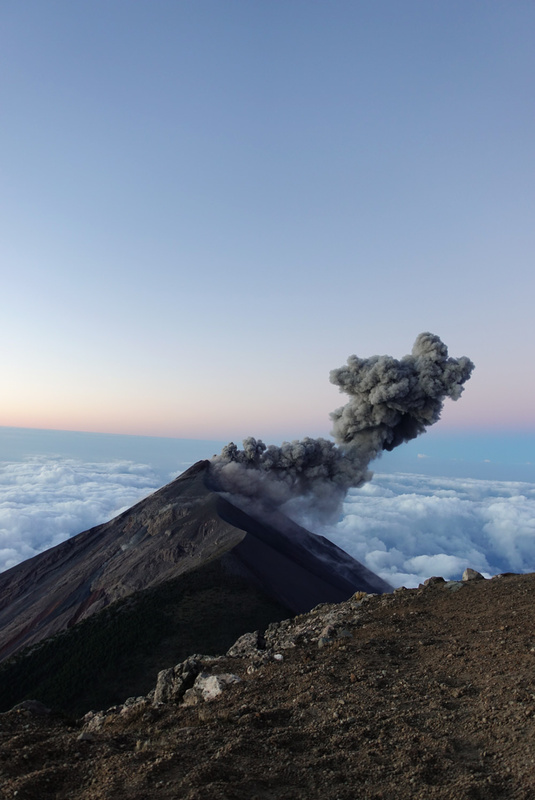 In the end, I caved in: I couldn’t resist the magic of having front-row seats to the Volcán de Fuego’s (Volcano of Fire’s) infamous lava eruptions. 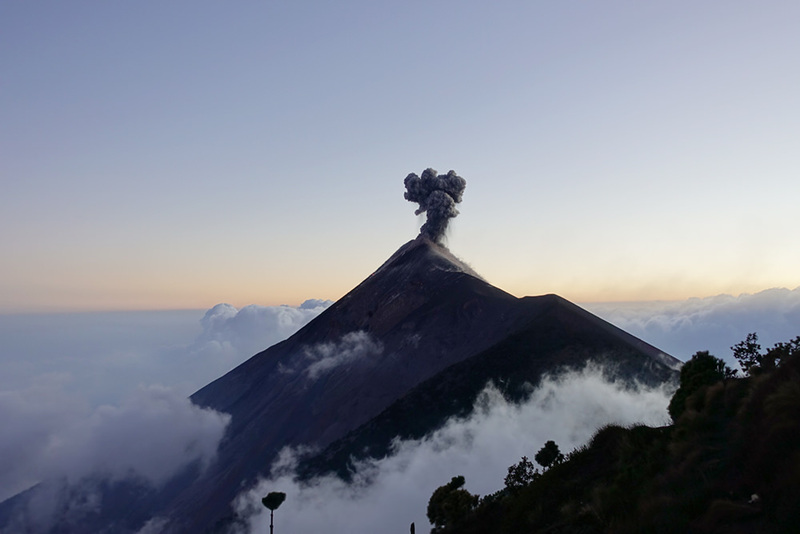 Before I knew it, I was off climbing Acatenango with a team of 11 courageous strangers. A few hours in, I was seriously questioning why I had opted into this struggle. My legs were shaking, my heart was beating out of my chest, and the weight of my backpack felt heavier by the minute. By the time I had reached basecamp, I was exhausted, soaked to the bone from my own sweat, and shivering against the rapidly declining temperature. I felt defeated at the prospect of having to climb two more hours at dawn, but I also instinctively knew it was the only option. I couldn’t, and wouldn’t, give up on this once-in-a-lifetime experience when I had made it this far. I wanted to prove to myself that I was capable of accomplishing anything I set my mind to. In that moment, I had to hacerle ganas that I was just going to climb that volcano because it would be worth it. The next morning was as brutal as I suspected, but the breath-taking beauty I witnessed confirmed that I had made the right decision. The arid, dusty landscape made me wonder if I was walking on the moon—until I saw it staring back at me from a distance, bloated and silver against the pastel skies. The rays of the rising sun warmed my bones as I stood paralyzed by the majestic sight of Volcán de Fuego’s peak spewing lava and ash. In that moment, I was reminded that so much of what we can accomplish is determined by our belief that we can do it. 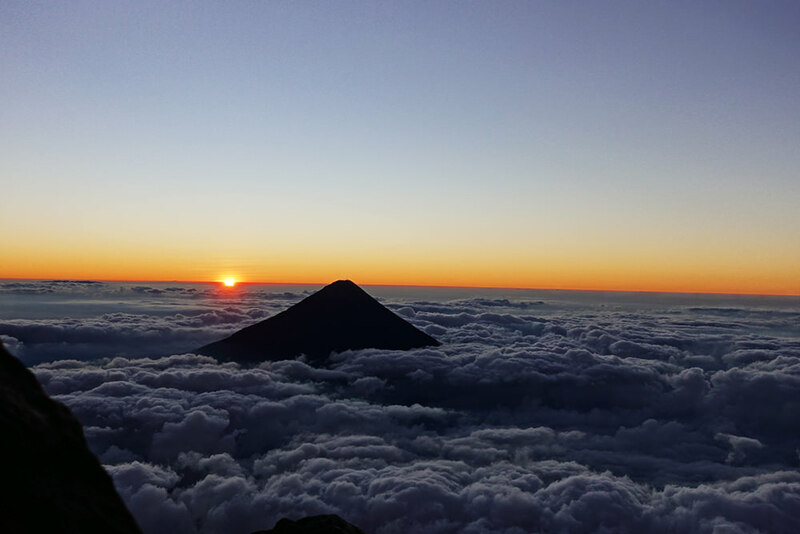 When I shared the physical and mental struggles of my experience with my Guatemalan friend who recommended the hike, she revealed that hacerle ganas is a practice of persevering through situations and mustering desire where it previously wasn’t there. It’s showing up for your own goals, and fueling the wish to see them through even when you are feeling discouraged or demotivated. When we encounter obstacles in the path towards our dreams, hacerle ganas asks us to roll up our sleeves and tackle the situation with determination. As my friend jokingly said, you just need to grab your attitude and do it. If there’s anything I’ve learned in the past two years of being an entrepreneur, it’s that nothing epic is achieved without hard work, struggle, and even pain. It’s all part of the process—and what makes the success that comes from our efforts so sweet in the end. Some of our greatest achievements are determined by our willingness to fight, persevere, and suffer for the belief that the result will be worth the pain. Hacerle ganas reminds us to always push ourselves to do what we never imagined was possible. Want to start exploring Latin America? 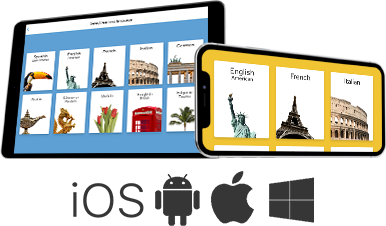 Begin speaking Spanish like a local with Rosetta Stone today.